We are big believers in the power of inner beauty! We realize that might sound a tad ironic coming from a portrait photographer working a stone’s throw from the nation’s capital in Sterling, VA! But, we believe that what’s inside is what makes you genuinely beautiful as a person. However, it’s undeniable that having your makeup and hair done by skilled professionals for your Senior Session is fun and exciting! It also yields beautifully professional results for your portraits. As a portrait photographer we typically recommend professional makeup and hair for our fine art portrait sessions, including Senior Sessions. Why Use a Professional Makeup Artist? •	A professional makeup artist will have experience in makeup application for portrait photography. This is an important distinction. A camera doesn’t “see” you in the same way another person will. 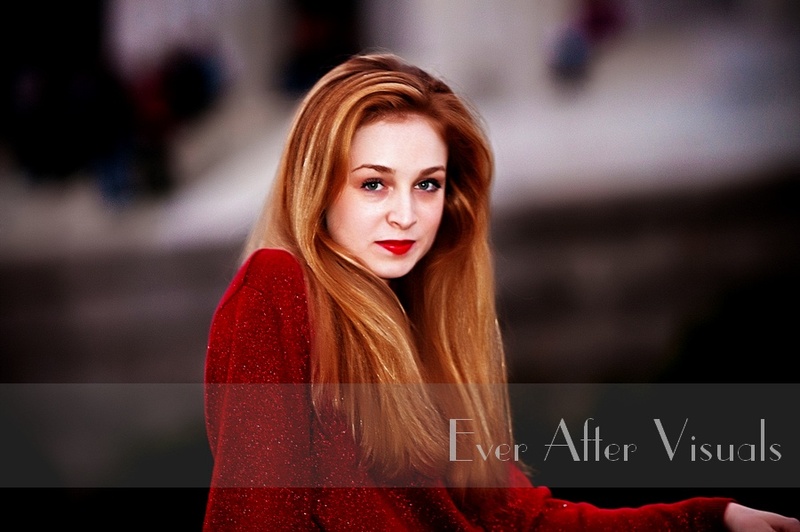 •	They know how different types of makeup will appear in camera and in your finished portraits. •	They have high quality makeup products in practically every shade imaginable! •	They know how to choose colors that highlight your best features, as well as how to contour in the most flattering way. 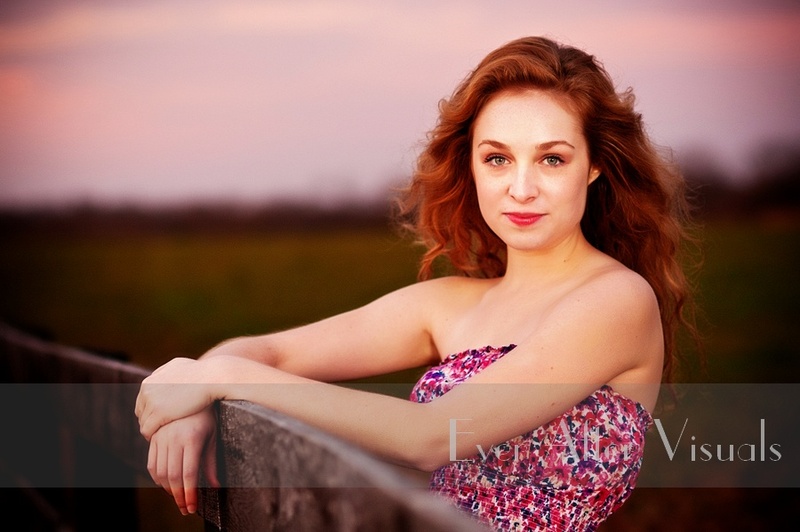 •	As an added bonus, you’ll feel amazingly confident, beautiful, and ready to start your Senior Session! Your portrait photographer will be able to capture that confidence and beauty for you in your portraits. If you prefer to do your own makeup and hair, check out these useful tips for doing it yourself. •	Apply your eye and lip makeup slightly darker than you normally wear. To be seen on camera as a “natural” look, makeup needs to be stronger/darker because a camera doesn’t pick up the contrast and the definition that our own eyes see in person. •	Don’t apply layers and layers of heavy makeup, though. Cakey makeup does not photograph well! •	Avoid mineral makeup and makeup with SPF. While great for everyday, they can create an unflattering shine in camera. •	Set your foundation with translucent powder that reduces shine. A camera can enhance shine giving you a “sweaty” look that you don’t want in your portraits. •	Wear lipstick, even if it’s just a shade more than your natural lip color. •	Wear mascara. It’s a must to bring out your eyes! Apply it cleanly, not clumpy. If you normally wear mascara, apply 2 coats for your Senior Session. •	Wear medium or dark, rich tones of eyeshadows. Pastel or pale eyeshadows will look washed out. Rich shades of brown and gold are usually safe. •	Wear eyeliner, but avoid heavy black eyeliner! It makes your eyes look smaller. Choose gray or brown and blend it well. •	Avoid sparkles and shimmers! Although it’s all the rage right now for glowing skin, matte makeup simply photographs better. •	Your Senior Session is NOT the time to try a new cut, style, or color! You’ll be at your most comfortable in front of a camera with hair that you’re most familiar with. •	Do get your hair trimmed and any touch-up to your color a couple of weeks prior to your session. •	Keep your hair naturally styled. If you have straight hair, sure, give it a light curl to add volume and for framing of your face. •	Use hairspray for your session, even if you don’t normally use it. It’s the best way to tame all of those little flyaways you don’t normally notice but that a camera will. •	If your hair leans toward the frizzy side, use products that help minimize the frizz. This is especially helpful if your Senior Session is being held outdoors. Try to avoid any sticky hair products, though. •	Believe it or not, natural nails look wonderful for portraits! Ensure they are trimmed neatly, filed/shaped, buffed and, of course, clean. •	If you prefer painted nails, choose a neutral or light color that goes with all of your outfit choices. •	Chipped nails just look terrible, so if you’re using polish, paint your nails the night before your session. •	If you’re going barefoot or wearing sandals at all, don’t forget your toes! Everything that applies to your fingers applies to your toes too. As a Sterling, VA portrait photographer, we have a lot of experience working with high school seniors and their Senior Sessions. We keep it fun, exciting and memorable. We look forward to meeting you at your session! Many fun things will happen when you’re a high school senior and, believe it or not, your Senior Portraits are not the least among them! Our fine art senior portrait photography is an artistic (and fun) way to commemorate this big transition in life. We work with Seniors throughout Northern Virginia including Sterling, VA, and one of their most frequent questions is: “What’s going to happen? 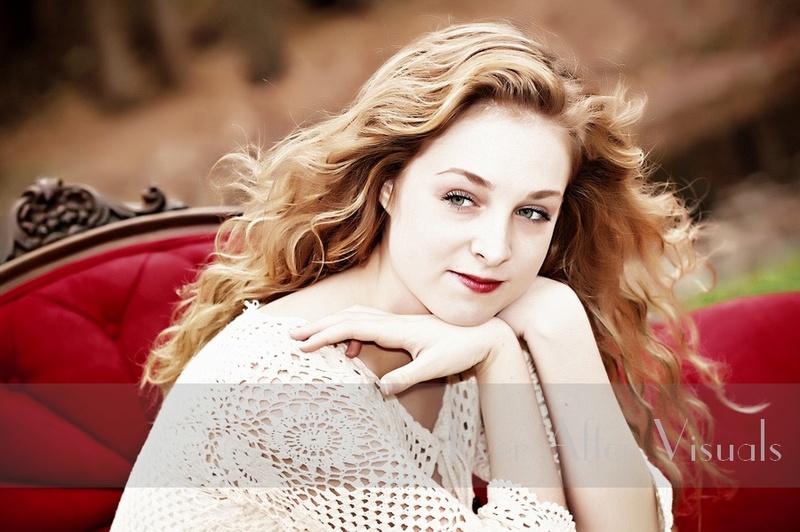 What should I expect for my Senior Portrait Session?” Read on for the answer. Our process is designed to create a personalized session for high school seniors and parents who want portraits designed for them — guaranteed to be unique, artistic, and celebrate your unique personality. So the first thing we’ll do is have a conversation with you and find out who you are and what you want for your Senior Portrait Session. Getting to know you is how we design the perfect Senior Session for you, whether you are a fashionista looking for something sophisticated and couture, or the girl-next-door who dreams of a field and portraits with her horse , or the guy who wants his first car to be included. When you (or your mom) calls us to schedule a Senior Portrait, we will discuss various points related to your Senior portrait session including the location. We can do your portraits in our indoor studios, at our private, outdoor portrait park, or another site of your choice. Wherever we do your pictures, you can expect a personalized session designed entirely around you. The results are guaranteed to be artistic and unique – there’s only one you, after all! When you call to book your Senior Session, your reservation fee will be due at that time. 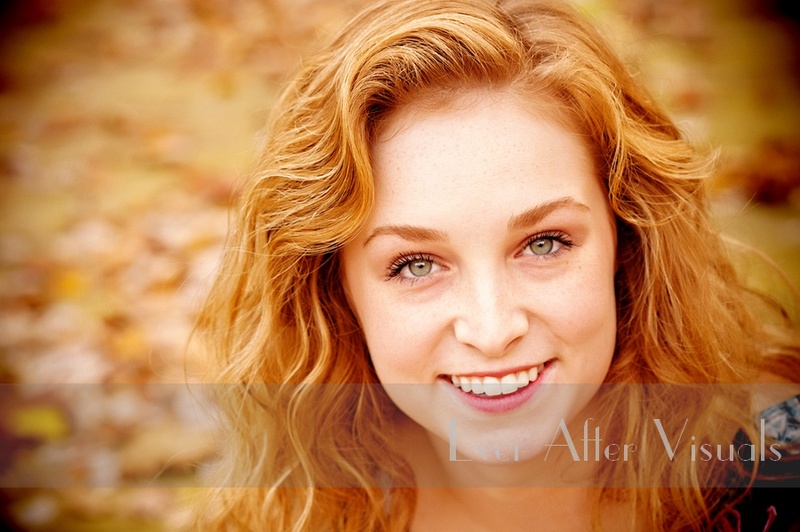 The fee secures the date and time for your custom Senior Portrait Session. Two days before your Session, you will receive a reminder of the start time. 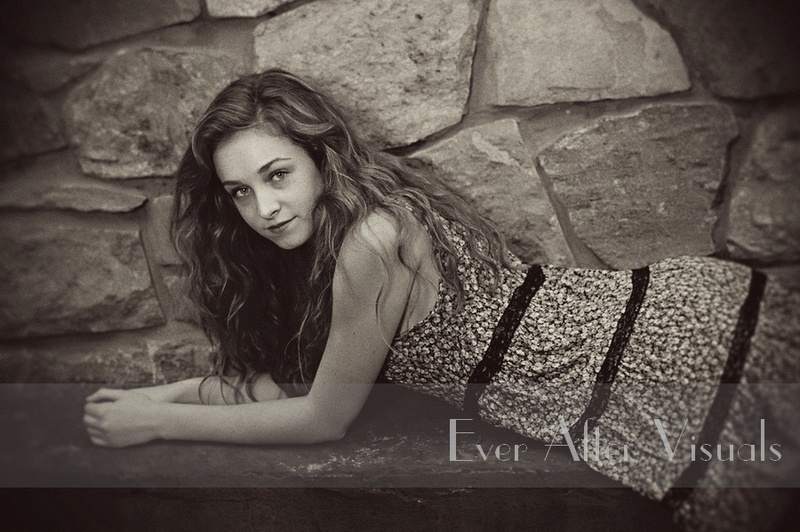 If your session includes makeup and hair, that will be the start time we’ll remind you of. We’ll also go over any other logistics we need to cover as a reminder. Always plan to arrive early for your portrait session or makeup appointment. It’s important to start on time, so we can end on time because there might be another session immediately following yours. Arrive at your session ready to launch right in! If you’re doing your own hair and makeup, that should be ready as well when you arrive! We usually recommend professional hair and makeup for the best results on camera. We have a professional team that you can work with for this. Expect us to take a lot of photographs during your session so you will have a variety from which to choose. If you have any questions, we’ll be happy to answer them, of course! Your in-person ordering session and cinematic presentation of your portraits will happen about two weeks after your Portrait Session. You will see only the best portraits from your session. And, yes, there are always some great one to show! We require that all decision makers be present at this ordering session so that you can place orders at that time. Portraits not ordered are typically deleted, so be sure to grab everything you love! About four to eight weeks after your final payment, the ordered wall art, albums, and custom products arrive at our studios. We will then contact you to arrange a pick-up time or to schedule your in-home installation. Lastly, we kindly ask that when posting your amazing portraits online to social media, that you never crop or clone out our watermarked logo for any reason! If you’re ready to do beautiful senior portrait photography with one of Sterling, VA’s best photographers, call us up to reserve your Senior Session. This is such an important event in your life, you wouldn’t want to skip scheduling senior portraits! Goodness! It doesn’t seem long ago that we took our first pictures of Isabella as a young teen. 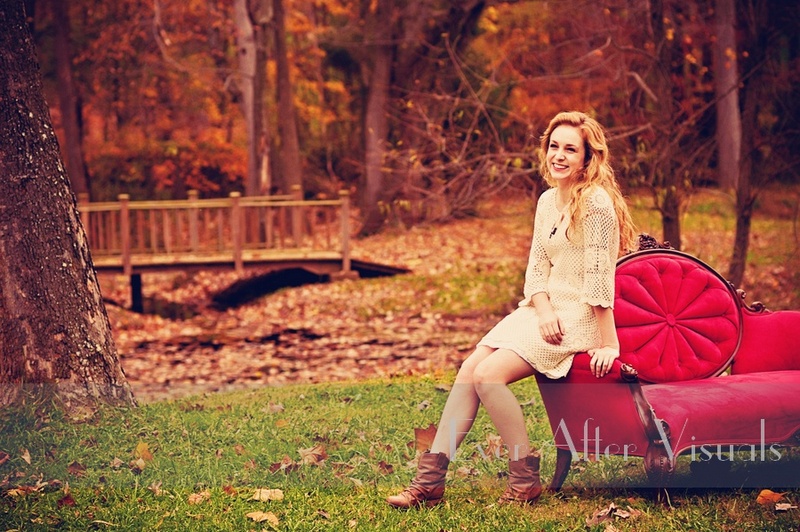 But, here she is in her high school senior photography session in Sterling, VA! 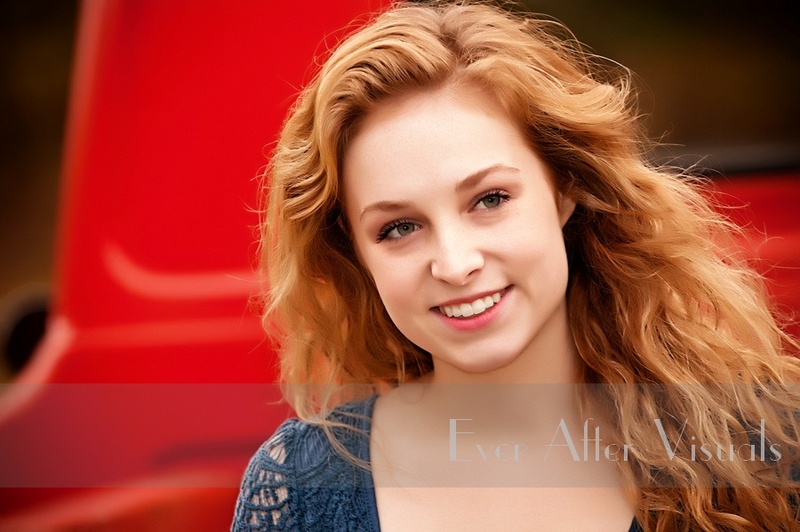 These senior portraits reflect this young woman’s radiant smile and natural beauty. As portrait photography specialists, we treasure the opportunity to “grow” with our clients. In other words, we love photographing them through the years as their lives change, families expand, and children grow up. It’s part of the reason we enjoy doing family portrait photography. We go back in time with this family! The first time we photographed Isabella was as part of a trio: her sister Olivia, their mother Michelle, and Isabella. The girls were in their early and mid-teens. Michelle again approached us to do their portraits before the girls became old enough to start heading off to college. We photographed them a second time, giving us the opportunity to see how much the girls had grown. And, here we are! Isabella is off to college at Virginia Tech. Olivia isn’t far behind her. Isabella is a beautiful and driven young lady. Her beauty is far more than skin deep, a fact which we know her mother is very proud of! We have absolutely no doubt that she will achieve every goal she sets her mind to, and it won’t surprise us a bit when one day we find out she’s changed the world! Big dreams or small, it’s important that you chase them and do your best. That’s what Isabella has always done, and it’s what she’ll continue to do. Obviously, we didn’t know the first time we did the family photography for this sweet family that we would one day do Isabella’s beautiful senior portraits! I guess we could say they’ve enjoyed working with us as much as we enjoy working with them! Capturing Isabella’s senior portraits was very special for us. It was both flattering and an honor to be asked to document such an important milestone in this family’s life. We know these girls will be off into the world to do great things. We wish them much success, health, and joy! If you are interested in our senior photography work in the Sterling, VA area, please contact us. We’d be happy to discuss our work and pricing with you. High school tends to be a whirlwind of college entrance exams, tours, and applications. Somewhere in the midst of all that are the all-important senior portraits – one of the most memorable takeaways from any senior year. 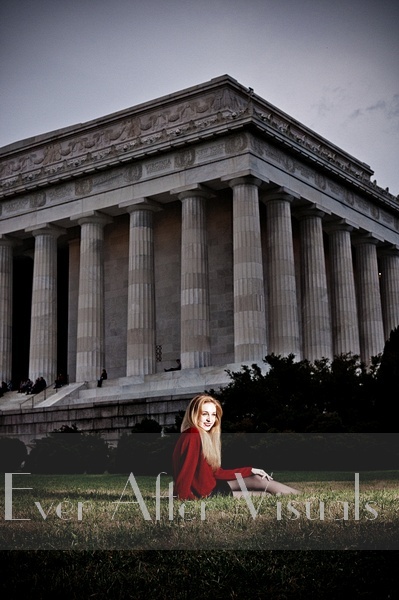 As a portrait photography studio in Northern Virginia near McLean, VA, we are seeing more families turning to having fine art senior portraits. But some are unsure as to when to schedule them. So, when is the best time to do your high school senior portraits? 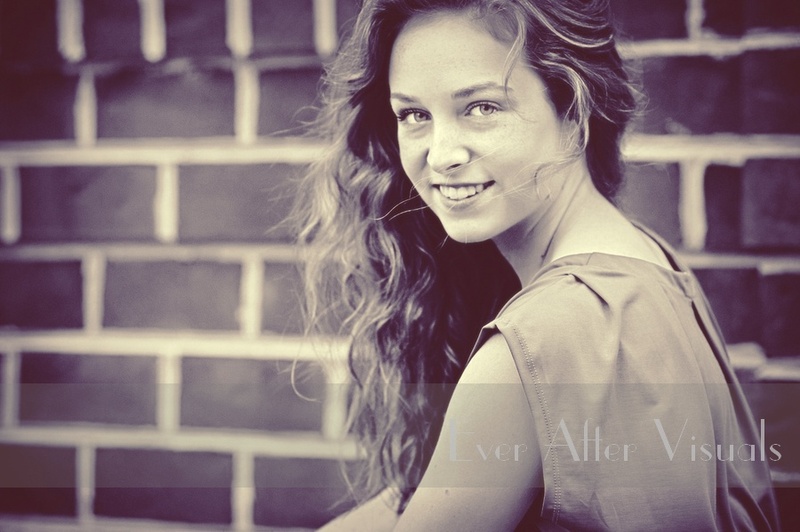 The summer after your junior year is the start of the senior portrait-taking season. There are several good, practical reasons for this. Doing your portraits in the summer before your senior year means you’ll have them back in time for your last year of high school. Many families use them for various purposes including seasonal cards, presents for family and friends throughout the year, and, finally, for graduation invitations or announcements. Students tend to use their senior portraits for social media and other opportunities throughout their senior year. If you want to be one of the first to have your senior portrait in hand, you should plan early! Start looking for a photographer by March during the spring of your junior year and be prepared to select a photographer months before you want your actual appointment. Summer can be a very busy time for portraits of any kind especially if you want to do outdoor portraits. The earlier you schedule, the more likely you are to have the pick of good time slots. Late spring or early summer can be a very good time to do outdoor portraits. Waiting until the end of the summer could mean battling summer’s heat and humidity. If you’d like to discuss your senior portraits, contact our portrait photography studio in the McLean, VA area. We’d be happy to discuss our services, products, and pricing as well as any ideas you might have for your unique senior portrait. 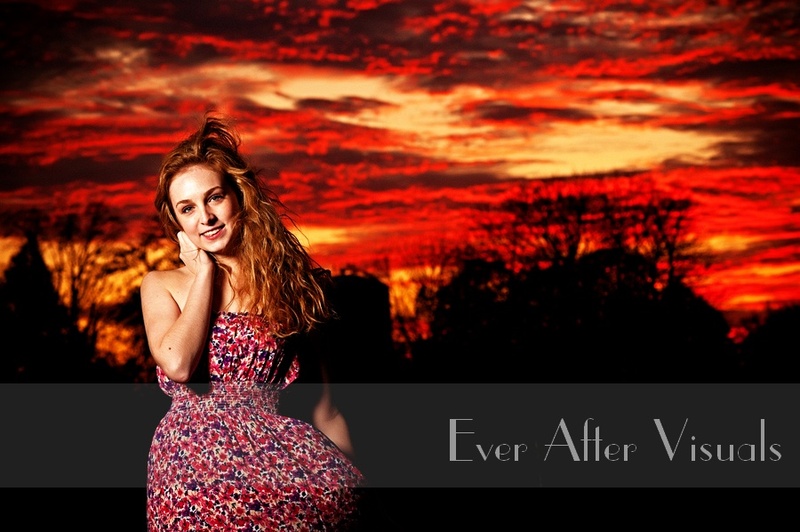 Ever After Portraits is comprised of Mindy Belcher and Joriana Belcher Anderson, a mother-daughter portrait photography team located near McLean, VA in Northern Virginia. We specialize in timeless and emotive fine art family portraits. Are you looking for a Family Photographer near Great Falls, one who is a professional photographer family portraits? Ever After Portraits is a mother-daughter team who specialize in relationship photography — we love photographing children, family, and baby portraits. Most especially, we love capturing special moments in senior’s lives. Kaylynn is vibrant, talented and beautiful — and definitely has a mind of her own, all qualities we admire in awesome young ladies like this one. We hope these images reflect all that and more! Special thanks to Kaylynn and her family for allowing us to capture these wonderful images!